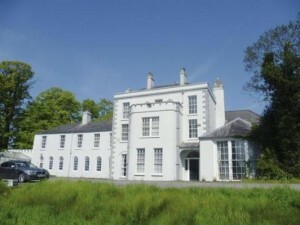 Repossessed properties are common at auction – however, it’s not everyday you see a repossessed prestigious Stately Home! This prestigious property, in need of modernisation, boasts a wealth of charm and character and will appeal to those who could inject the Georgian style and charm to reflect the character and history it once oozed. Set on an elevated site of c.1 acre, the house extends to over 10,000 sq ft of accommodation. The entrance hall boasts an ornate and elegant staircase and double opening period doors which lead to the principal reception room, formal drawing room, dining room, games room and living room. In addition the ground floor offers a large kitchen/living/dining room with hardwood French Oak units and Aga, utility room. bathroom and access to basement cellar. Elegant cornicing detail, ornate fireplaces and original windows are special features of this Grade B2 listed house. The bedroom accommodation is set over 2 floors and 7 bedrooms along with a guest annex (including bedroom, bathroom and kitchen) complete this along with 4 ensuites and a family bathroom, all with period style fittings. An unexpected bonus is the recent addition of a swimming pool and changing area. 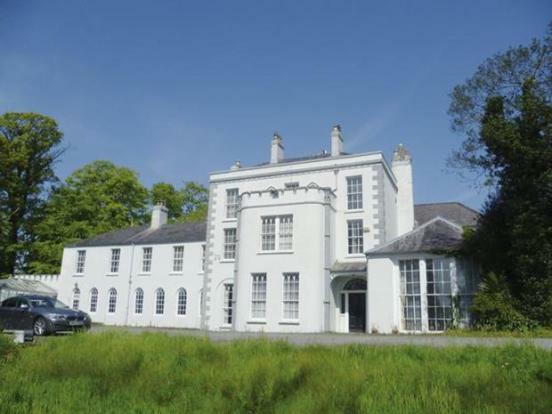 So if you’ve watched Sarah Beeny’s “Restoration Nightmare” on Rise Hall (also a Georgian Stately Home) and thought to yourself “I fancy a bit of that” here’s your chance!